Sunseeker’s Plans for the Future – Superyachts News, Luxury Yachts, Charter & Yachts for Sale. According to the latest statement provided by Sunseeker International, the company is expected to undergo strategic changes in the management in the near future. The firm now has a new operating board where CEO Robert Braithwaite will continue to have 55% majority stake. The activities of designing and technological operations will be managed by his brother John Braithwaite. At the London International Boat Show, Braithwaite had reported of the company having recovered from the crisis. 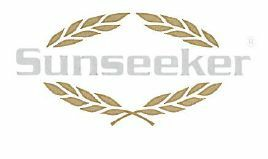 Sunseeker International was made financially strong due to the hardworking team who gave their best performances. The CEO also announced that they are not only booked with orders for the whole year of 2010 but also have quotations for larger yachts for 2012 and 2013. Moreover, Braithwaite also expects the firm to improve with new professionals and non- executives that have joined it. Also, Stewart McIntyre and Sean Robertson would be working as Chief Operating Officer and Sales Director respectively. In accordance with all this events, Braithwaite will be less involved with the business for paving the way for orderly succession planning in the longer term. On the other hand, he will be able to dedicate his time in strengthening the valued relationships of their clients and planning the future of the brand – Sunseeker. Another person joining this team as Chairman of the Board would be John Darlington. He would also be making a considerable contribution with his amazing business management experience.